Over the past decade, putting public services on-line has been a focus of huge policy and financial investments aimed at providing more joined-up service delivery. For some this is part of a transformation that is bringing about a new era of integrated digital government. For others digitalization means threats to privacy and security and a strengthening of bureaucracy. In the UK and beyond, front-line service providers and citizens have been slow to take up digital services whilst major projects have floundered. This book takes a fresh look at this vital area for public policy and practice. 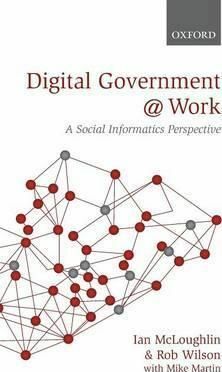 Informed by over ten years of original research on the 'inside' of projects to put local services on-line, the authors combine cross-disciplinary insights to provide a new social informatics perspective on digital government. Experiences in areas such as health and social care are used to illustrate the dangers of 'over-integration' when key decisions are left to system designers, as they seek to integrate information in centralized systems. The authors argue for a new 'architectural discourse' to change the way that systems are deployed, evolve, and are governed.